After a busy offseason of moves that included trading for speedy Dee Gordon, signing free agent outfielder Ichiro Suzuki, and locking up slugger Giancarlo Stanton on the biggest contract in sports history, the Marlins have officially been named as the hosts of the 2017 Major League Baseball All-Star game. Set to come in the 25th year of the Marlins’ existence, this is the first time in their franchises history that they have been awarded the Midsummer Classic — they were supposed to host the game in 2000, but it was given to the Braves instead — making it sure to be a game full of excitement for the fans in the area. But there is one thing on everyone’s mind that a lot of people are posing issue with. 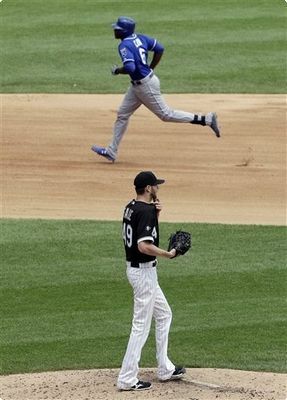 Generally, the All-Star game has alternated between American League and National League hosts each year, with the host team having home field advantage. With the All-Star game holding a lot of value, in that the winning league receives home field advantage during the World Series, the stakes have become very high. However, with the Cincinnati Reds set to hold the surrounding festivities this year, the Padres in line to do the same in 2016 and now with the Marlins getting named the site for 2017, that makes for three straight years in a National League teams ballpark. However, there is a solution to the problem that new commissioner, Rob Manfred, has put into place. “We will alternate years, in terms of who bats last,” said Manfred on Friday. “We will be making that change going forward.” Meaning, in 2016, when in San Diego, the American League team will be the “home” team and bat in the bottom half of the order to make things a bit more fair. 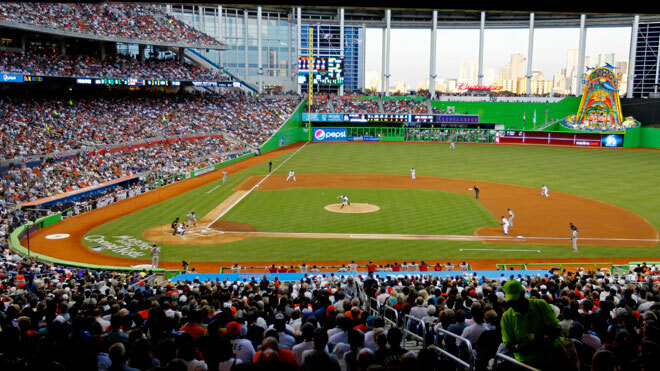 As far as the Marlins are concerned, after spending 19 seasons in a football stadium — they shared a venue with the Miami Dolphins, finally receiving a park of their own in 2012 — they are extremely deserving of the All-Star game. Although attendance has been up and down (mainly down) over the course of time since, they will undoubtedly do a great job of hosting the event. But before Marlins fans get too excited about the looming All-Star game, they need to enjoy focusing on the season at hand. Their team is really, really good, and they stand a shot at doing some big things in the National League this coming season. While getting the All-Star game for 2017 is a big story, the Marlins could be making plenty of headlines throughout the season as 2015 rolls along. Although it didn’t result in a victory for the Mets, Jacob deGrom — given a no decision in a 6-5 Mets loss — was as good Monday night as he’s been all season long. Striking out the first eight batters he faced to start the game, deGrom was not only dominant, but he also made some history, setting the Mets’ franchise record for most consecutive batters struck out to begin a game. Unfortunately, deGrom didn’t surpass the MLB modern day record of eight straight batters retired to kick off an outing, set back in 1986, merely tying it. But even so, deGrom showed why he’s regarded by many as one of the top young up-and-coming pitching stars in the game today. Now with a season ERA of 2.68 over the course of 21 starts — 7 of which were scoreless outings — and 134 strikeouts on the year, the 26-year-old deGrom is quickly becoming a household name. Once the Mets get their ace, Matt Harvey, back in 2015 — who reportedly topped out at 95 on his fastball with great movement on his curveball in a simulated game at Citi Field on Monday — they should have a very formidable rotation, with deGrom as their strong number two starter behind Harvey. 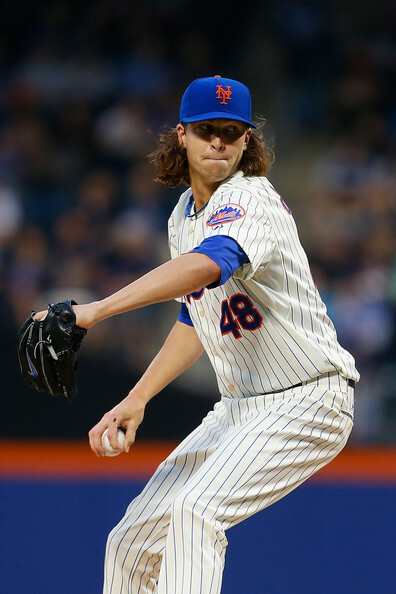 But before all of that happens, people are focusing their attention on the present, placing Jacob deGrom as a top candidate for 2014 National League Rookie of the Year. However, while deGrom has been good and should be good for years to come, I’m not fully convinced the award will be his by a landslide as some are suggesting. 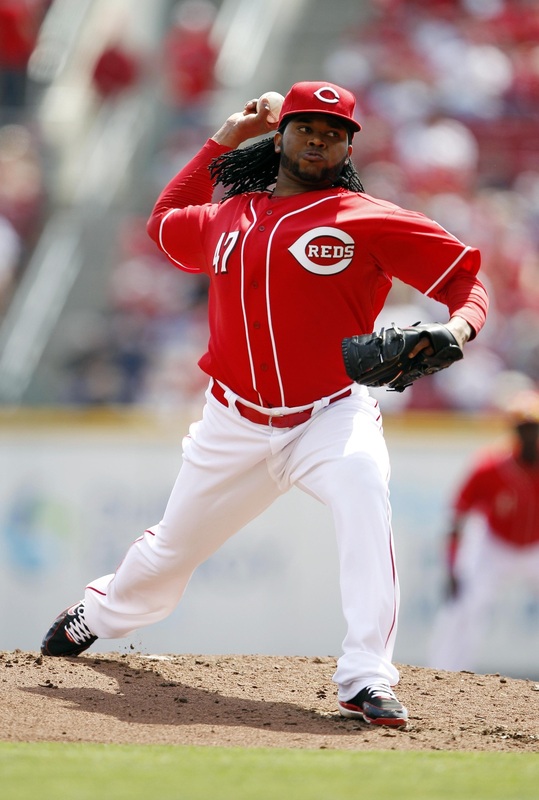 The stats deGrom has posted this season have been impressive, racking up a 28 inning scoreless streak before allowing three earned runs in the seventh inning on Monday, but an outfielder for the Reds by the name of Billy Hamilton is sure to give deGrom a run (no pun intended) for his money. Though Hamilton is batting in the mid .200’s — not something you want out of your leadoff hitter — he’s really been a big part of an otherwise struggling Reds team. 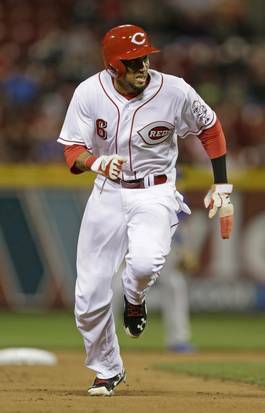 While Hamilton has cooled off drastically as of late after hitting at a fairly high clip for a portion of the season, his 56 stolen bases and fantastic defense in center are sure to earn him a number of votes for the Rookie of the Year in the National League. Citing the fact that Hamilton wouldn’t be a candidate if not for his stolen bases, it’s certainly understandable to find yourself thinking deGrom has the edge in the race for the award. Neither side is truly the right or wrong answer, as both Hamilton and deGrom have good arguments both for and against. In the end, however, the final handful of games of the season will tell the tale. Whichever player has the stronger finish will likely gain the edge when it comes to the voting for who deserves the title of Rookie of the Year.